Green mosques: the future of Saudi Arabia. As part of a bid to gain green building initiatives national attention, the Kingdom of Saudi Arabia (KSA) is planning to make over 90,000 mosques friendlier to the environment through the use of solar power and other green energy sources. Green building focuses on promoting resource efficiency and pro ecological practices. Following a joint meeting that took place between Saudi Green Building Forum and the Ministry of Islamic Affairs, it was agreed to make mosques more eco-friendly. “This was a strategic decision when compared with other buildings, because mosques are buildings which have the most influence on people’s lives due to the large numbers of worshipers who visit them”, the secretary general of the Saudi Green Building Forum, Faisal Al-Fadl told the Arabic national newspaper Asharq Al-Awsat. Green building technologies involve the use of practices that are resource-efficient and are ecologically beneficial and these practices are utilized throughout the entire life cycle a prospective building may have. It begins with the planning, carries through into the construction phase and continues once the building has been built and in how it is used. According to Al-Fadl, “Green building has qualities that are more pertinent to mosques than other forms of construction”. Green energy may lower electricity consumption in mosques by 40%. In addition to reducing power consumption by an estimated 40%, Faisal Al-Fadl also said that if advanced green technology is utilized in building, it may be able to decrease consumption by as much as 80%. Furthermore, by equipping mosques with water filtration systems, water use may be lowered by anywhere from 30 to 40%. 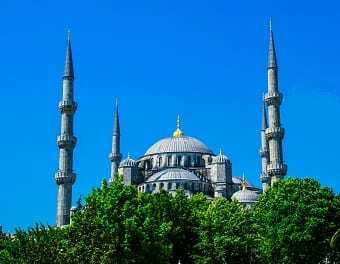 Likewise, air filtration systems could improve the overall health environment of a mosque by decreasing the risk of contamination and transmitted infections. Al-Fadl has confirmed that an agreement to implement the green building initiative that will convert mosques into green energy buildings exists. This will help make sure current mosques that have been well established for years can become more environmentally friendly. He also presented Sheikh Saleh Al-Sheikh, Saudi Arabia’s Minister of Islamic Affairs, with the green building initiative and its goals, for which the minister has expressed his support.